As the leader in the smartphone Operating System provider, Google maintains its position being at the top. Most of the smartphones, approximately 85%, around the globe are using this OS. So, it’s always so important to develop the application for this OS to offer the users more flexibility. 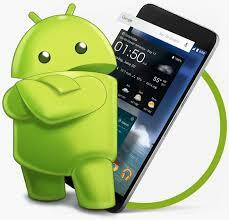 In this rapidly blooming industry of Android application. The entire process of Android app development has reached a special place as compared to all the other OS of smartphones. As the days are passing, the requirement of different mobile applications is increasing rapidly. However, if you want to increase the revenue out of your business, then having an Android app can really help you a lot. It also should contain the feature to locate your business location with the help of Google Maps. With an extensive look of the application, you can get to more people as it would influence them to stick to the app. In order to generate substantial revenue, you must have an application apart from the website. Thus, in case you want to profit in your business, you should have the application on Google Play Store from where users can access it. What Is Android Software Development And How It Works To Help You? In the devices that are powered by the world’s leading Operating System i.e., Android you need this method of development to create different applications. You can complete this development using different object-oriented programming languages like Kotlin, Java, C++, etc. So, it never matters if you are a Java developer or a C++ developer, you get the full flexibility to choose your preferred language out of it. You also get access to Google’s own development kit that’s known as Android Studio. With the help of this SDK, you can easily design and develop your application for the Android device. You can even deploy your developed application on Google Play Store to make it globally available to all users of Android OS. 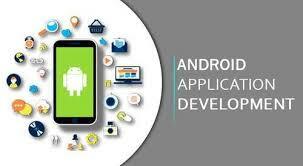 How This Android App Development Can Help You To Generate Revenue? If you want to stay updated with the latest trends, then the best way to do that is to have an app for your business. An app will help you in staying updated with the new requirements of customers. Apart from the website, you also should have an app as a prerequisite of your business. If you want to promote your business, then an application can help you a lot. Whatsoever, the application that fulfills all the needs of customers can help you achieve your goals. You can get more traffic to your business with the help of this app development. There are several methods as well that can help you develop an app that offers a better experience to the users. As already discussed, an Android app can help you big time if you provide enough information about your business in it. Gaining profits will become easier if you have the best user interface on your app. In case, the user faces any difficulty in using the application, then you might not get that much profit out of it. Therefore, are you looking for a company that will help you develop an app with the best UI? Then, there are a few facts that you should check. These facts hold the main responsibility to help you in your business. One of the many key factors that you should take care of while making an application is affordability. You must offer more importance to the customers of your business with the application. Throughout the application, there should be a very easy user interface. So, the user doesn’t get any difficulty using the app. The compatibility is another very important term in the app development process. Your application must be compatible with all versions of Android OS. The app should not crash frequently as it would get a negative impact on the user. 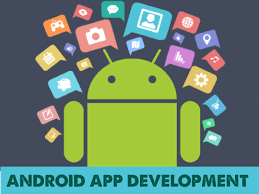 These are the main aspects that you need to consider while developing an Android app. If you are opting for a company for this task, then they must comply with all of it. However, the way of communication with the customer should be in a hassle-free way in the application. The opening time also decides whether it is a good application or not. If it takes too much time to open, then most of the users will remove your app from their Android device.